Sun's out! Seeds out! Time to get in the garden! Summer in California means time to get out and soak up the sun while enjoying your garden. Vitamin D does your body good, but sometimes all that hard work getting the garden ready can be a strain on hands and arms. Here are some tips to help keep you in the garden and pain free. Use a quality pair of light gloves to protect from cuts and to provide a small amount of padding for hands. Protect wrists, hands, and elbows by keeping the wrist in a neutral position with elbows slightly bent to maintain strength and avoid straining. Avoid repetitive gripping, pulling, and twisting. Protect shoulders and elbows by avoiding long periods of reaching. Use long handled or telescoping tools when possible for long reaches. Take frequent breaks. Ensure that tool handles are a comfortable fit for your hand. Use padded tape or foam to adapt tool handles for better grip. Use ergonomic and adaptive tools. Try them out, just because it says "ergonomic" doesn't always mean it's better for YOU. 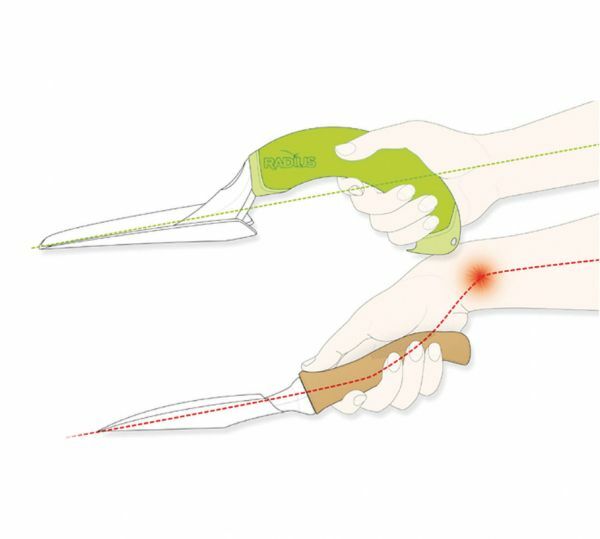 Here are some ergonomic gardening tools we have found that work for our patients.